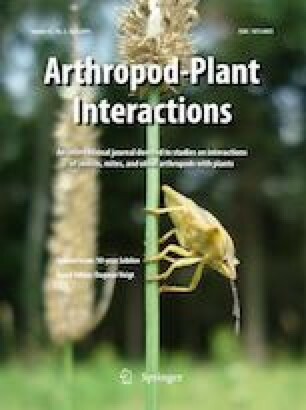 The Journal Arthropod-Plant Interactions obtained its first Impact Factor 10 years ago, and has maintained its high scientific impact ever since. This has inspired us to collate a unique Jubileum Special Issue (SI), solely based on contributions from APIS team of Associate Editors. The Guest Editor of this SI is Dr. Dagmar Voigt, Institute for Botany, Faculty of Biology, Technische Universität Dresden, Germany. She is a regular contributor to APIS, and has superbly, efficiently, and with rigor handled the submissions to this SI. The result is for all APIS readers here to enjoy, and with the kind cooperation of the publisher, available to everyone for a free trial period (open access) over the next 2 months. I encourage all readers to pass on the word to colleagues, and to share the articles and information available in this jubilee SI during this period of free access. Let these contributions act as catalysts for inspiration in the study of arthropod-plant interactions, and guide us to the next 10 years of impact in the scientific literature on this fascinating and diverse topic area. Thank you Dagmar for your work and support in making this SI possible.